The established, recognised and proven expert you can trust. Louise Chapman BA (Hons) PGCE is the Lady Mole Catcher – Head of the British Mole Catchers Register. 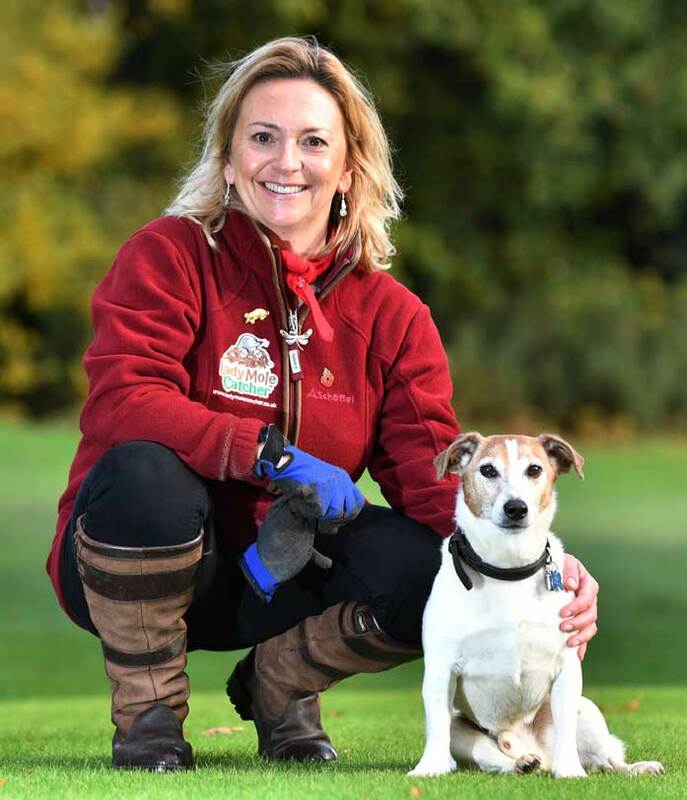 Louise was trained under the expert tutelage of John Lill in 2010. Having previously worked as a teacher, She made a lifestyle choice and changed her career to work outside, managing wild life and the problems it can cause if it becomes out of control. Louise uses traditional methods to catch moles. Putting a tube attached to a car exhaust down into the run. Pouring diesel into a run and worse still, igniting it! Beware that these methods are illegal and that the use of explosives or asphyxiation for the killing of any wild animal under section 11(2) of the Wildlife and Countryside Act 1981, can lead to a £5,000 fine or up to 6 months in prison. These methods cause unnecessary suffering to the animal and it is my purpose to ensure that the animal experiences minimal suffering, in accordance with the Animal Welfare Act 2006. Lady Mole Catcher is fully insured, has an Enhanced DBS check which means she is ‘Safe’. She offers you an experienced, highly knowledgeable and professional service. Louise will arrange a site survey with you to assess the damage and the cost to control the problem. Please call 07876 14 11 53 to arrange a consultation. 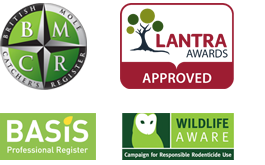 Louise Chapman has a certified training qualification from The BASIS Registration Board in Principles of Rodent Control and is a recognised member of the BASIS Prompt Register (a register of managers and technicians providing professional pest control services and advice). Click on the ‘My Services’ tab for more information.